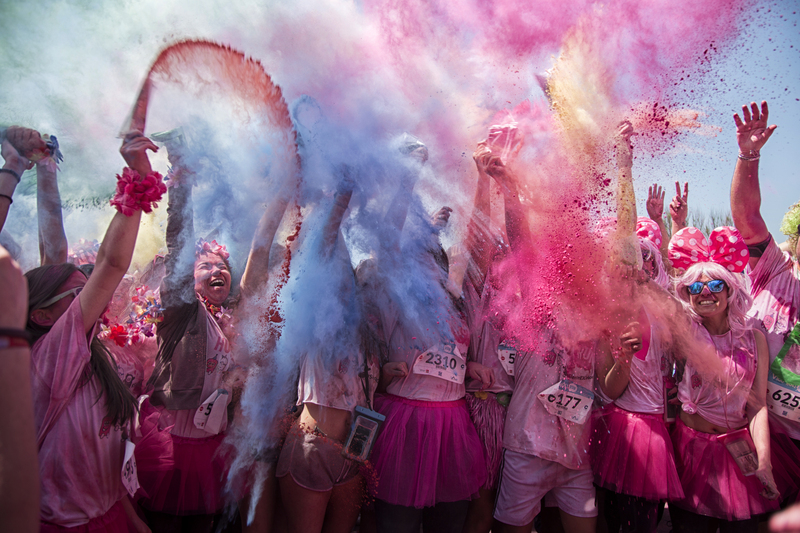 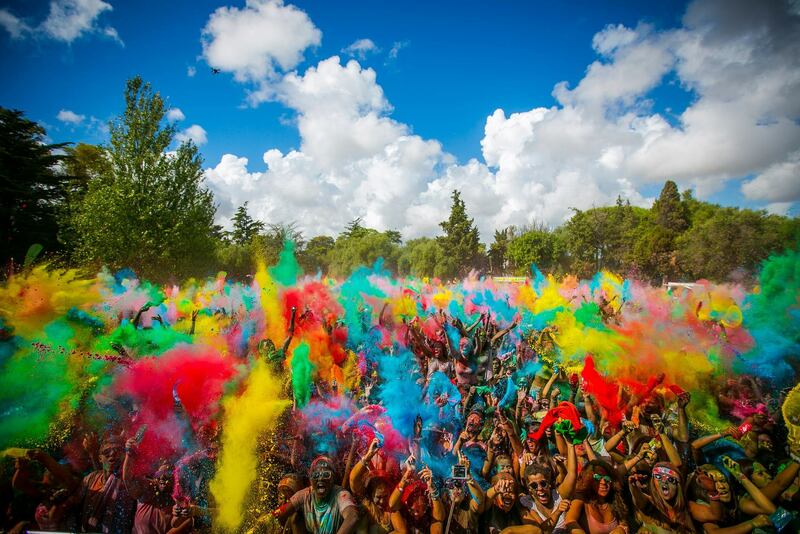 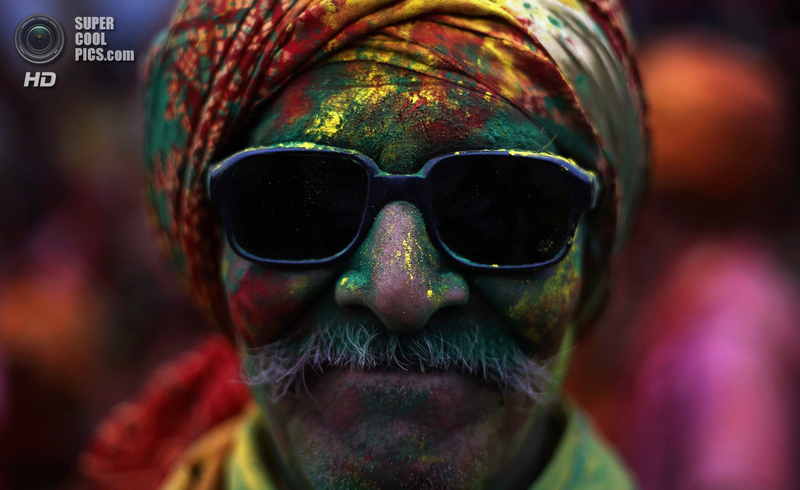 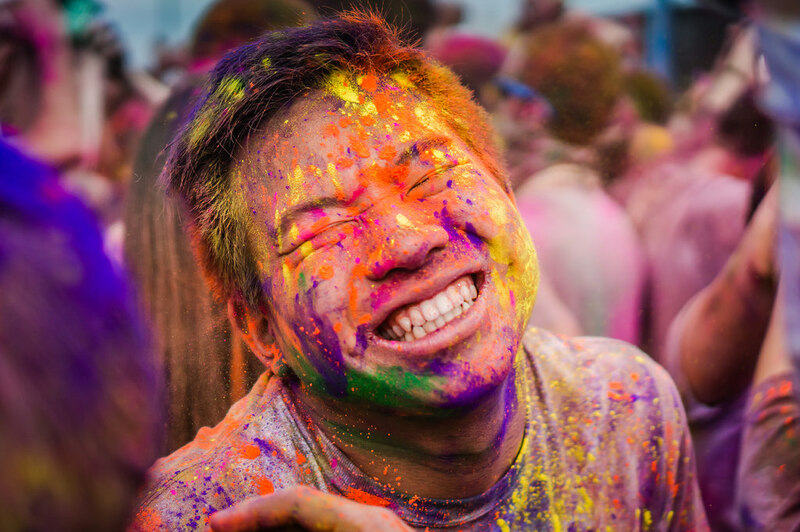 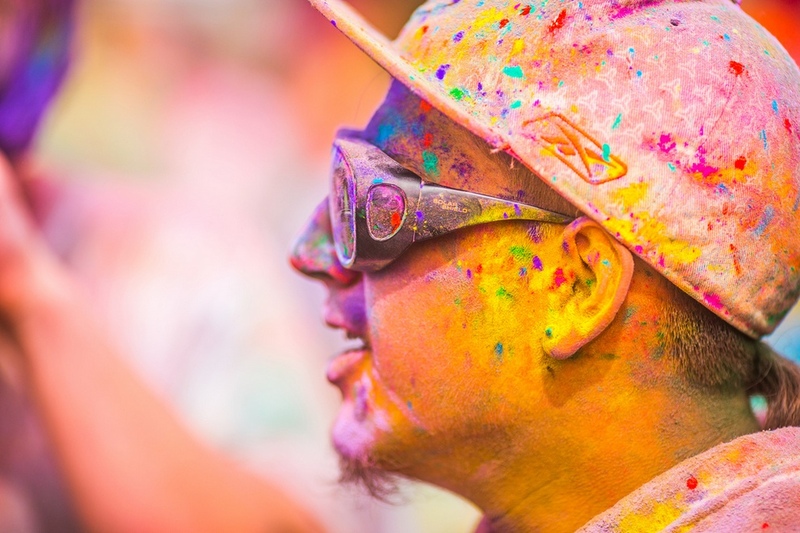 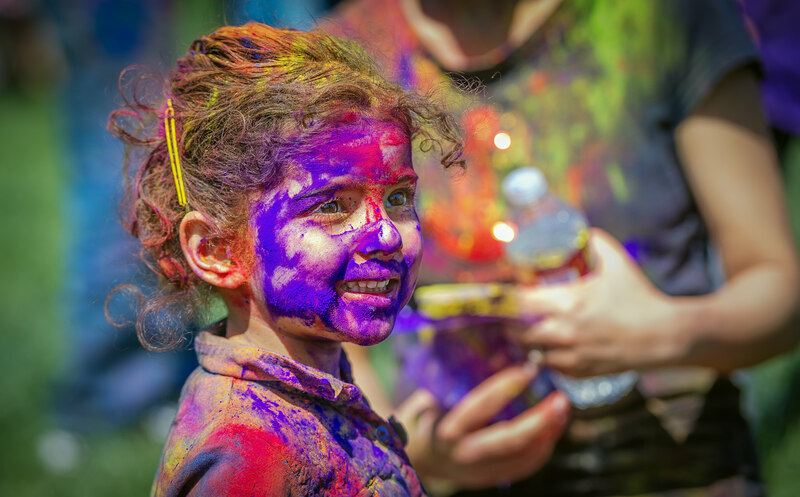 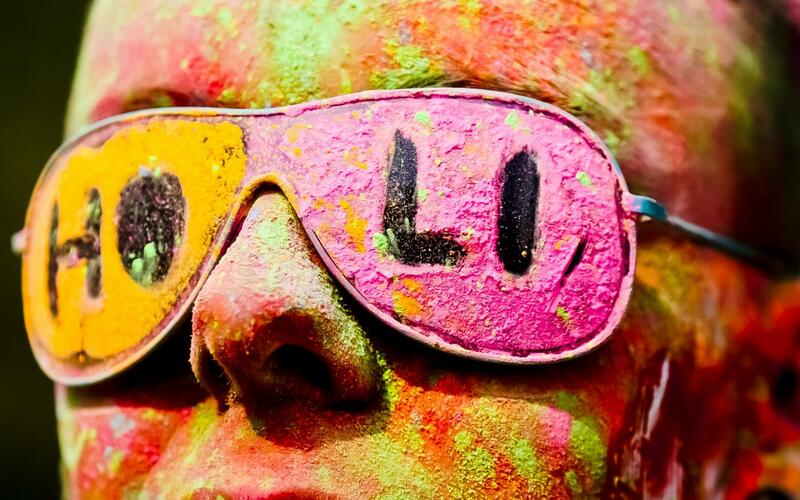 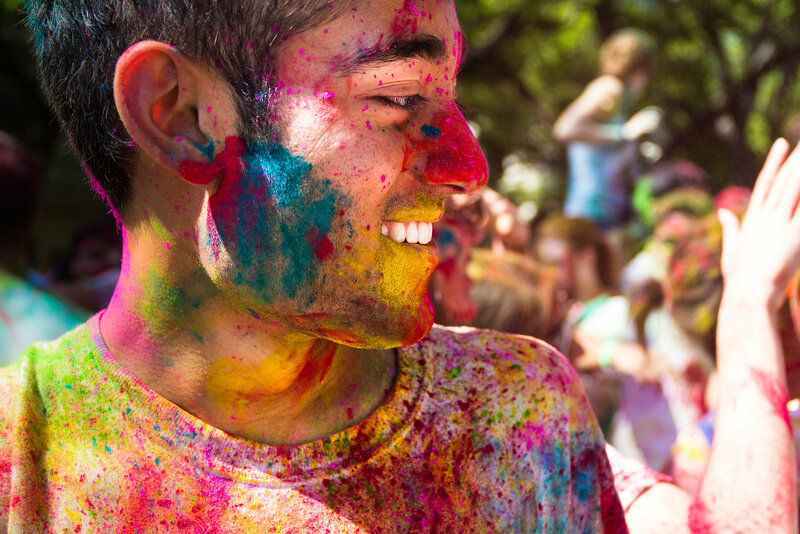 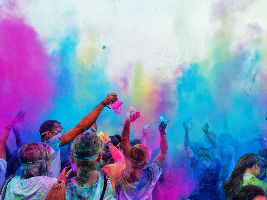 Holi ( /ˈhoʊliː/; Sanskrit: होली Holī) is a popular ancient Hindu festival, originating from the Indian subcontinent. 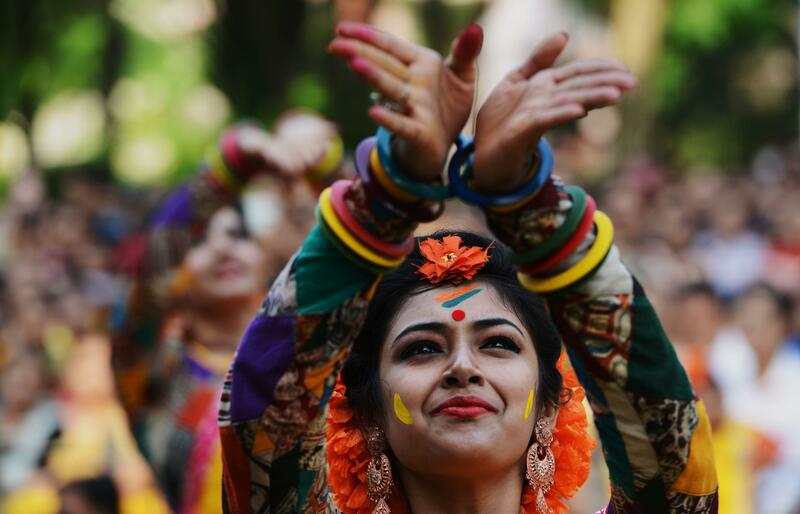 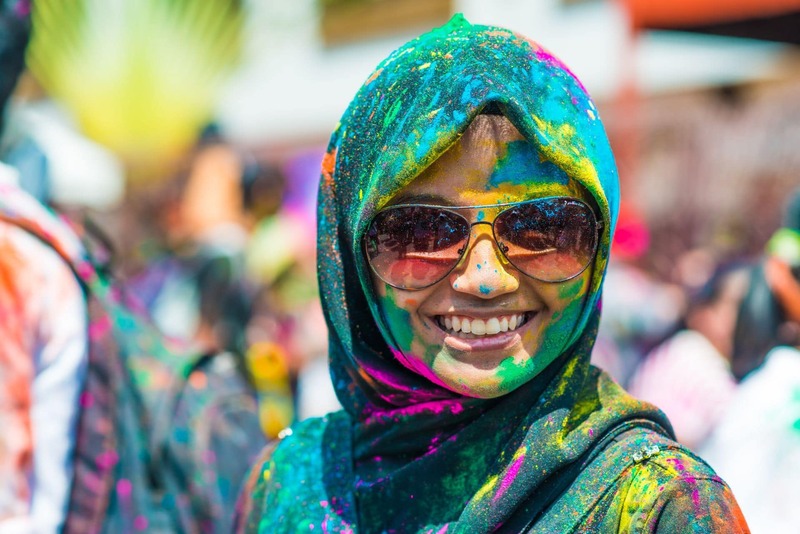 It is celebrated predominantly in India and Nepal, but has also spread to other areas of Asia and parts of the Western world through the diaspora from the Indian subcontinent. 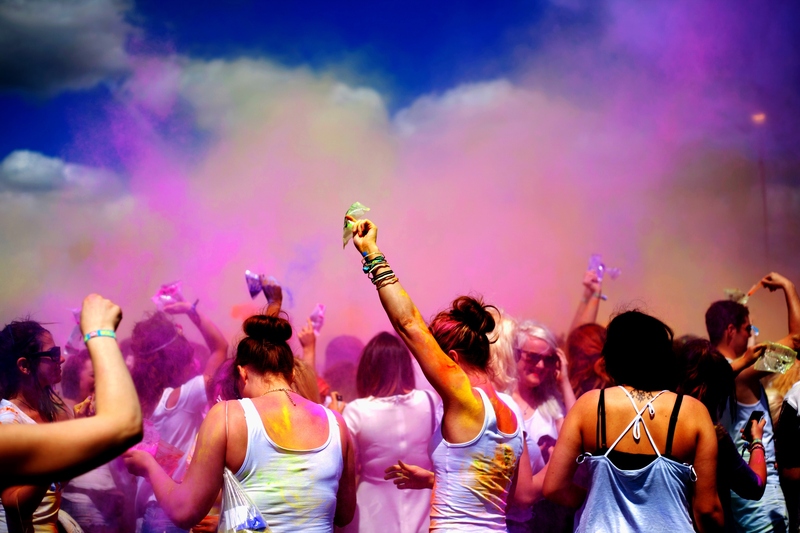 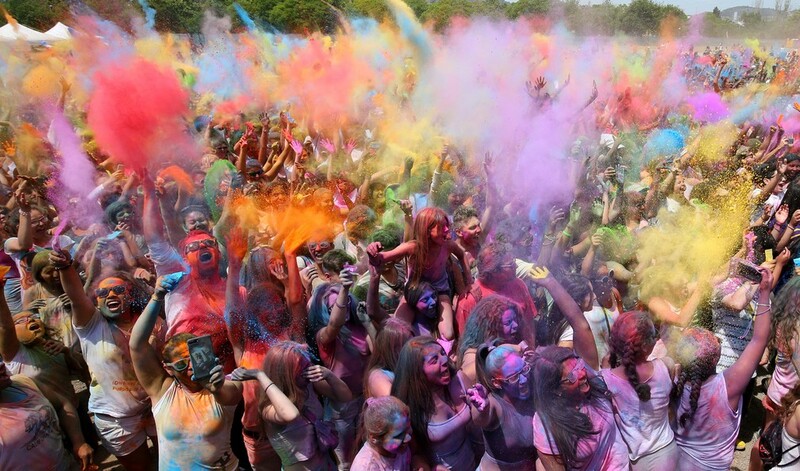 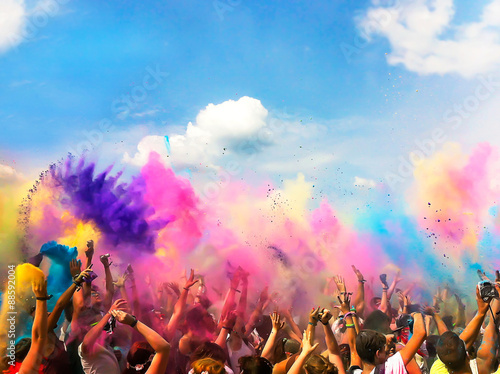 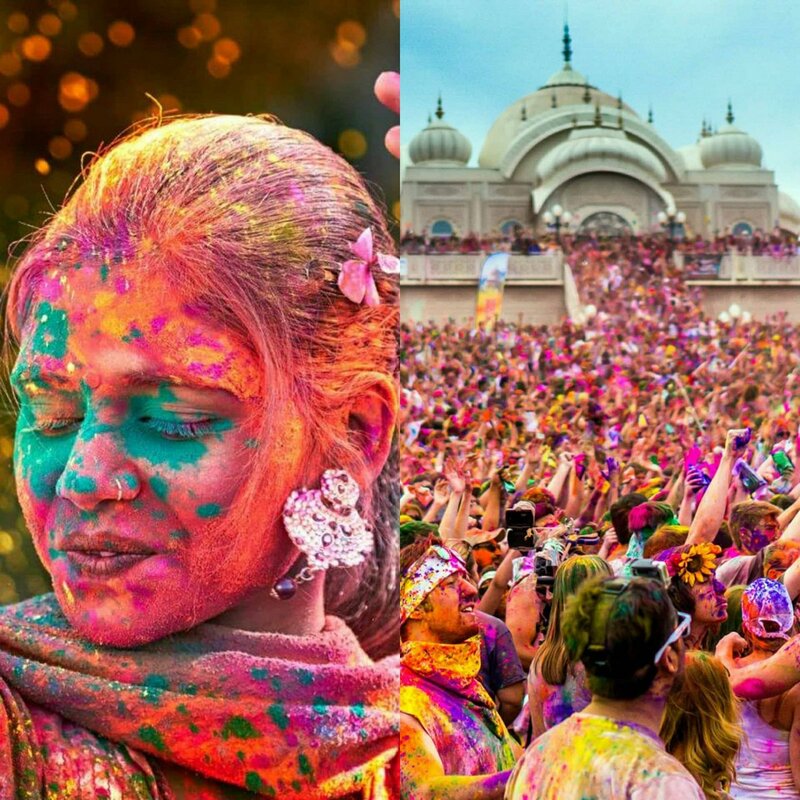 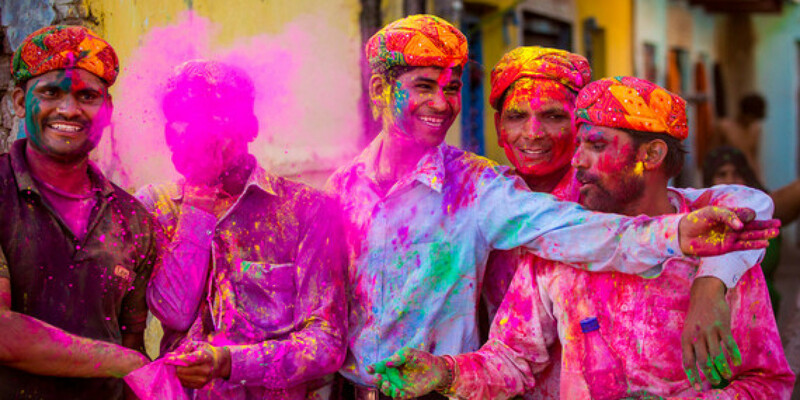 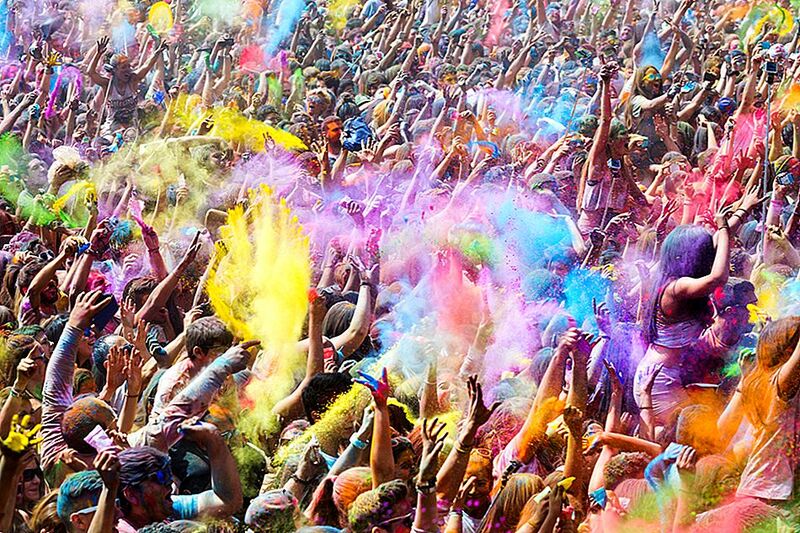 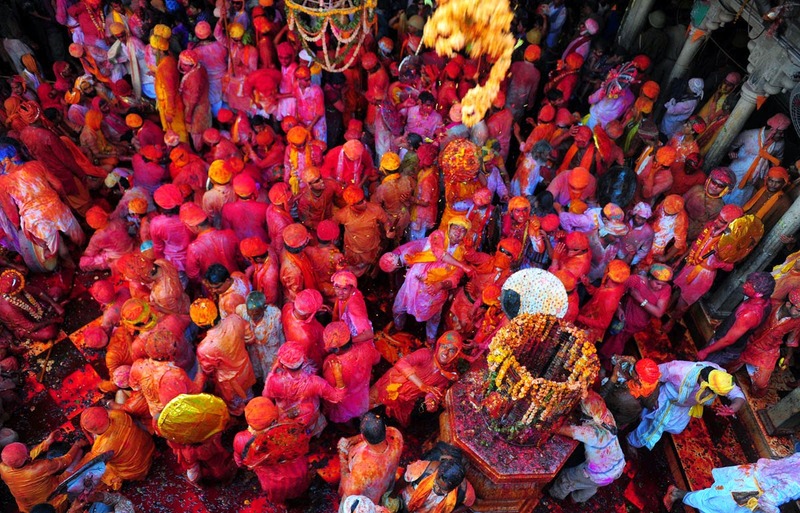 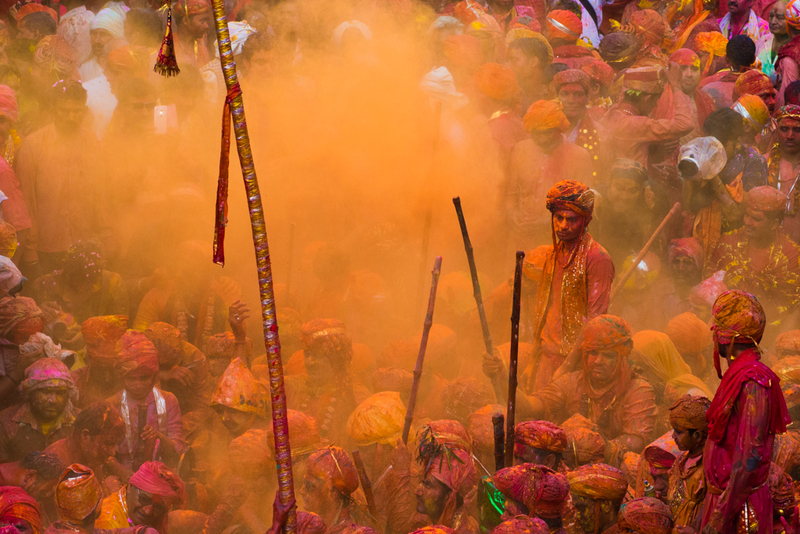 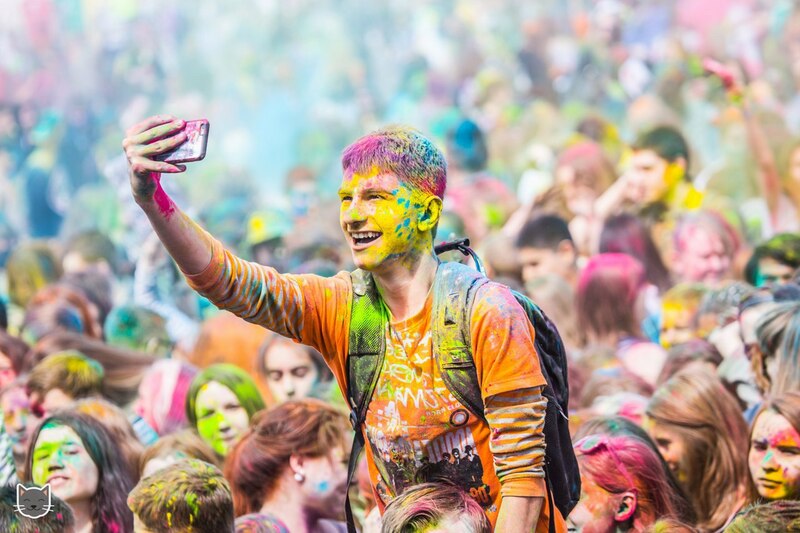 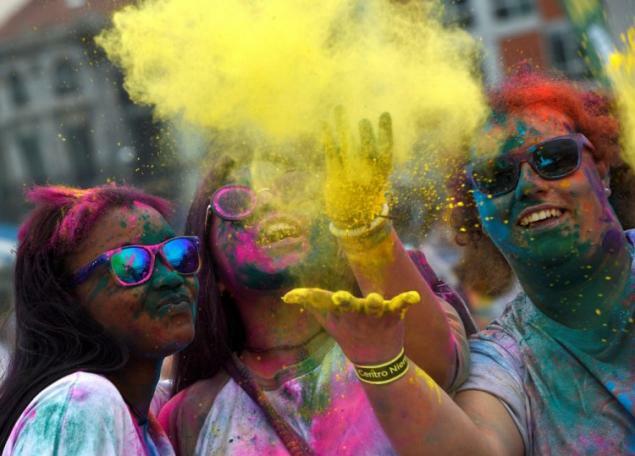 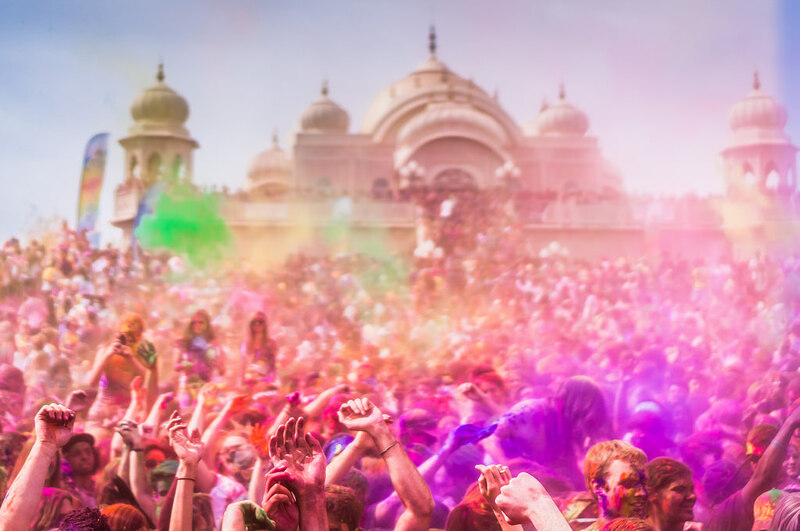 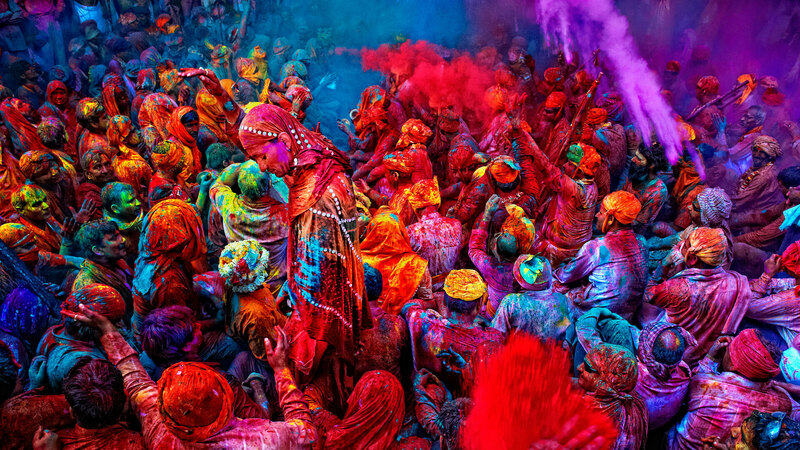 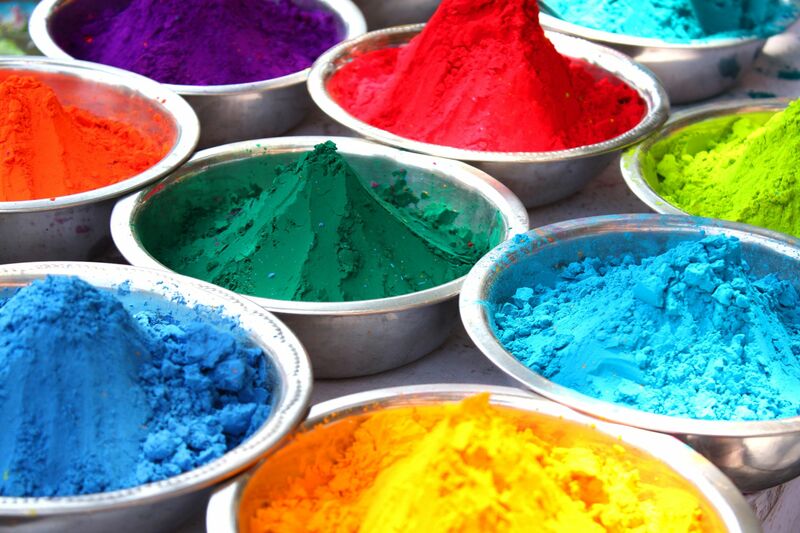 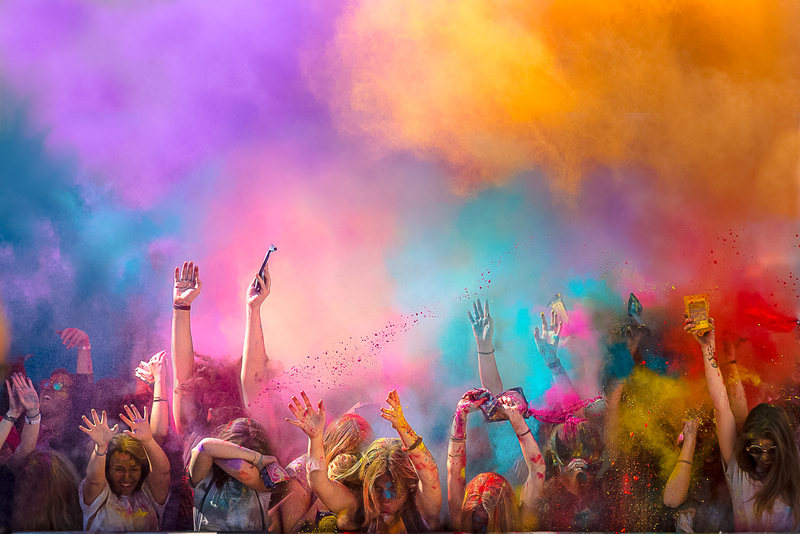 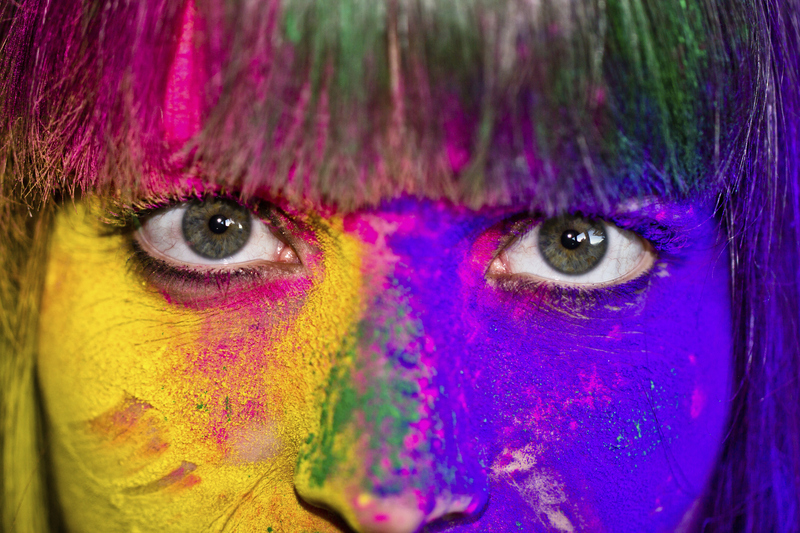 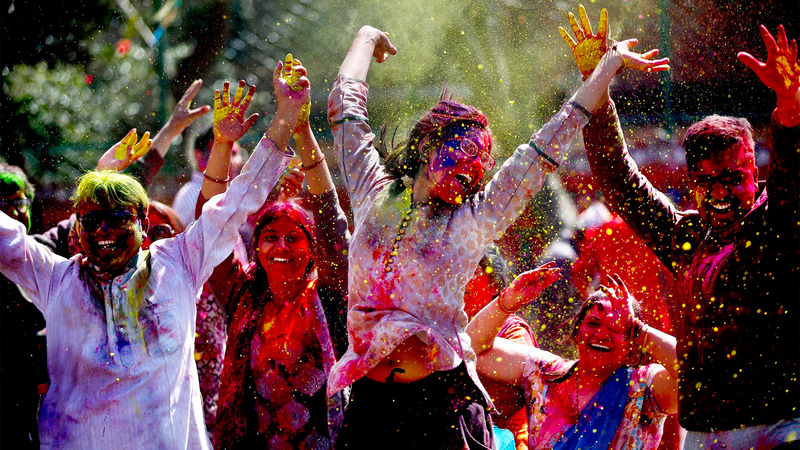 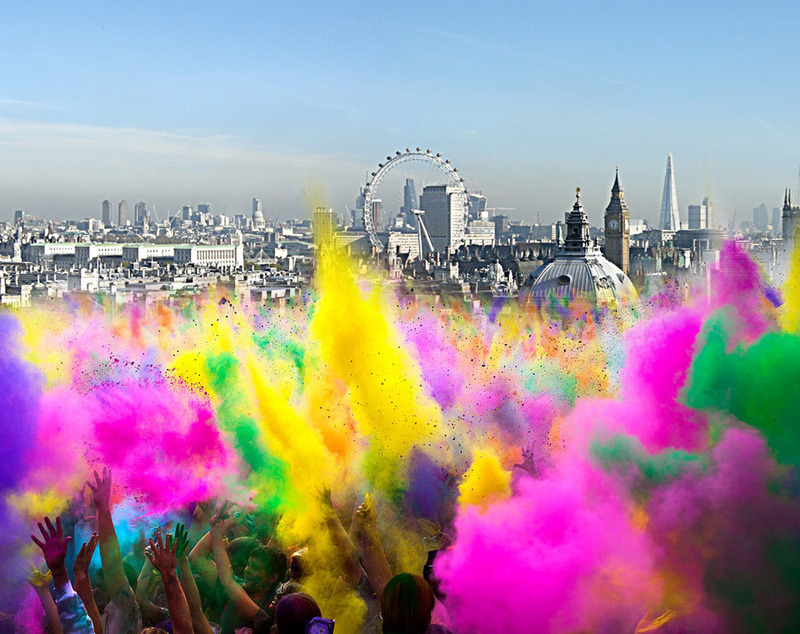 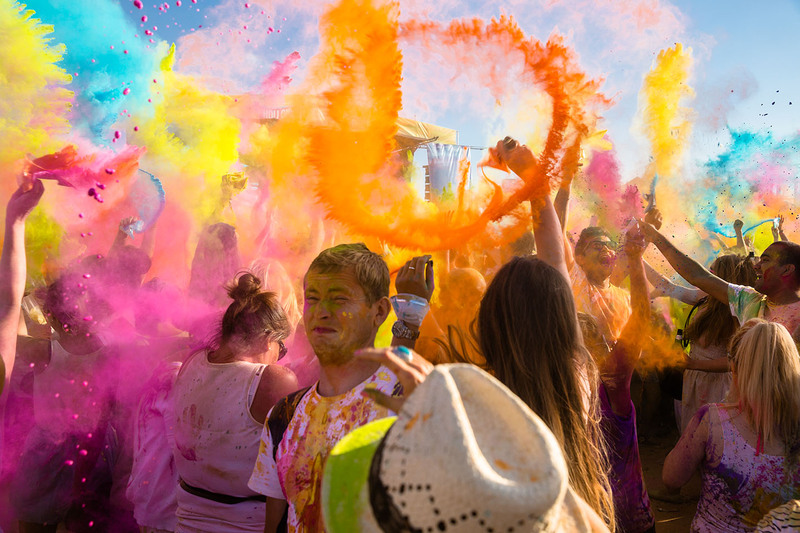 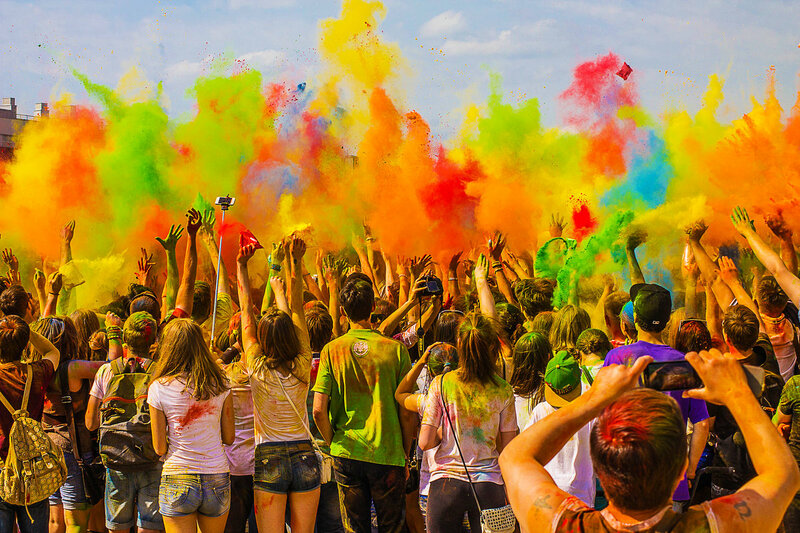 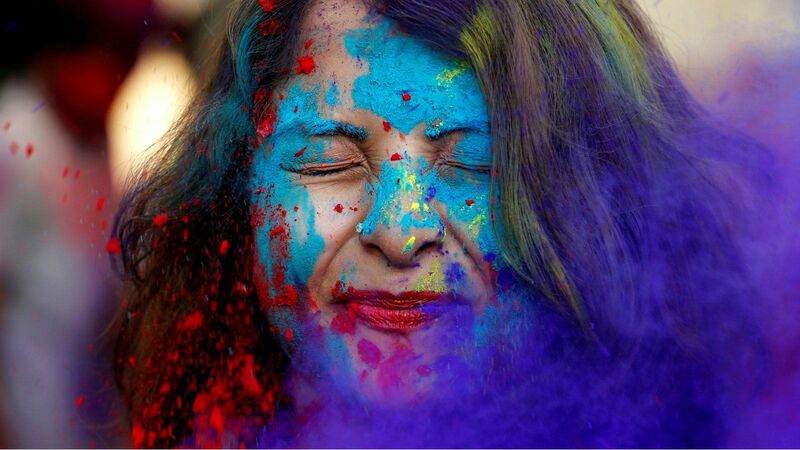 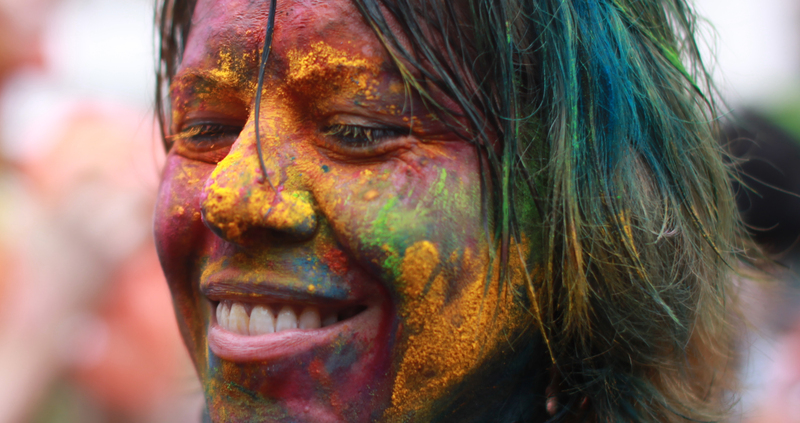 Holi is popularly known as the Indian "festival of spring", the "festival of colours", or the "festival of love". 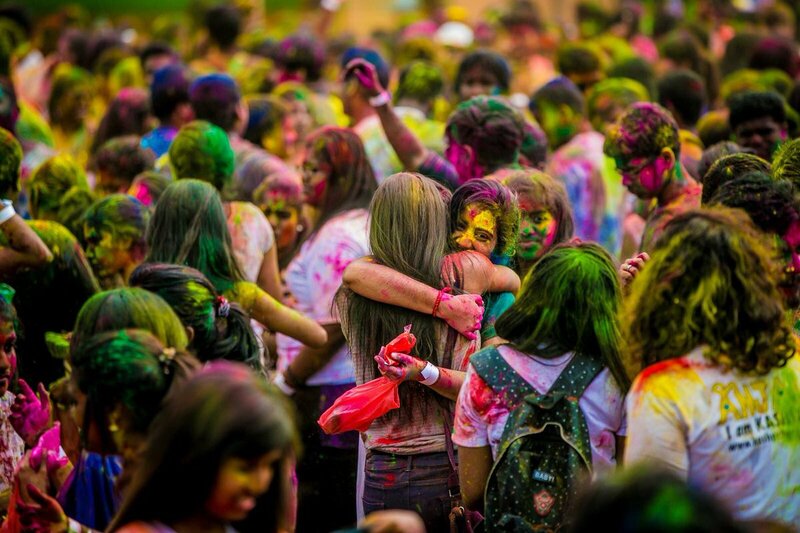 The festival signifies the arrival of spring, the end of winter, the blossoming of love, and for many a festive day to meet others, play and laugh, forget and forgive, and repair broken relationships. 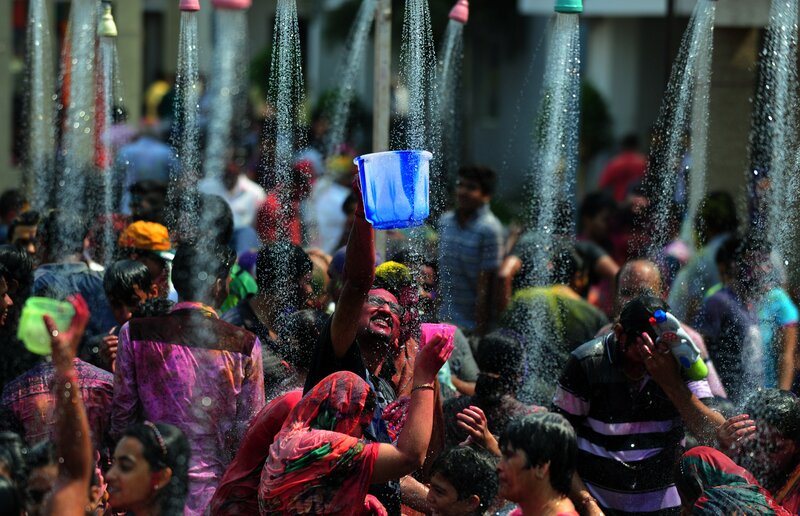 The festival also celebrates the beginning of a good spring harvest season. 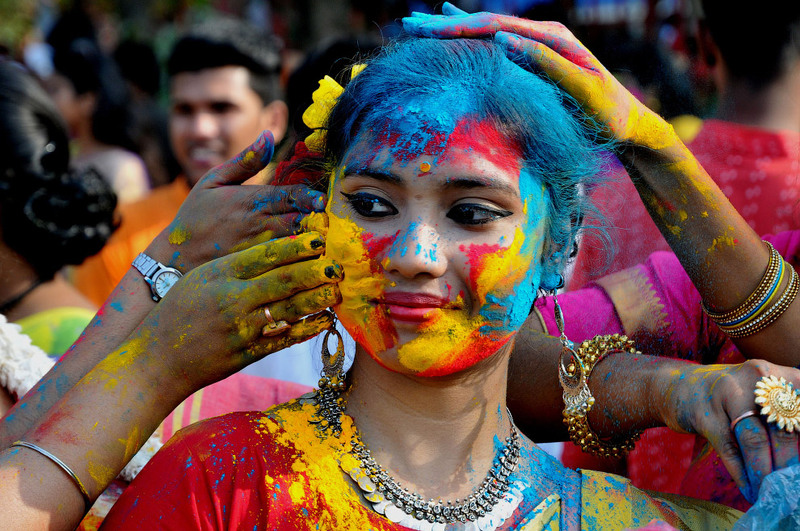 It lasts for a night and a day, starting on the evening of the Purnima (Full Moon day) falling in the Vikram Samvat Calendar, a Hindu calendar month of Falgun, which falls around middle of March in the Gregorian calendar. 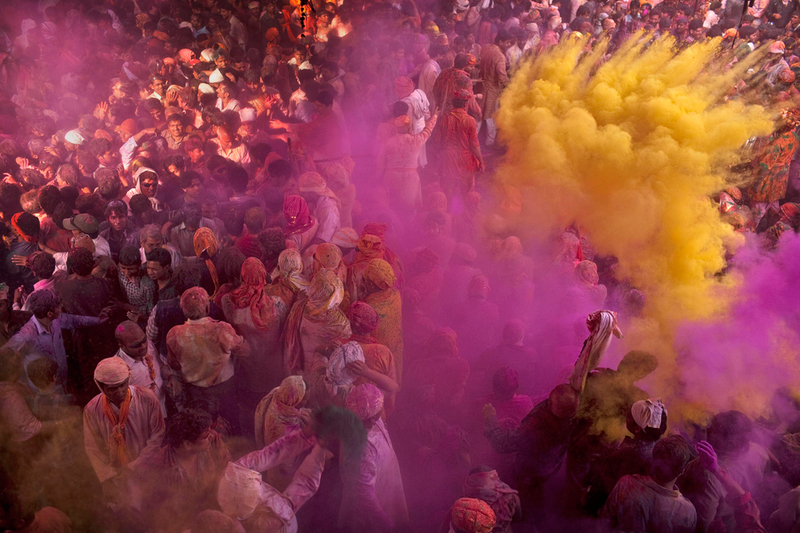 The first evening is known as Holika Dahan (burning of demon holika) or Chhoti Holi and the following day as Holi, Rangwali Holi, Dhuleti, Dhulandi, or Phagwah.